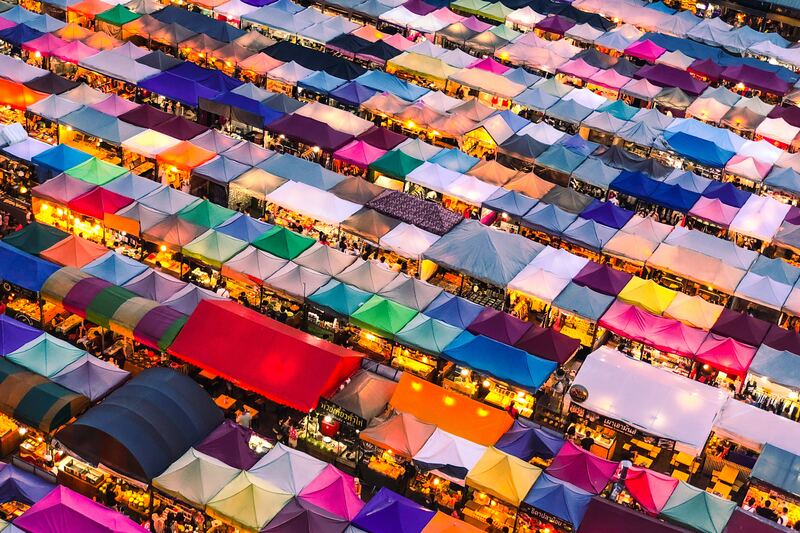 Bangkok, or Krung Thep, is Thailand’s buzzing capital with an estimated of 9 million people calling it their home. 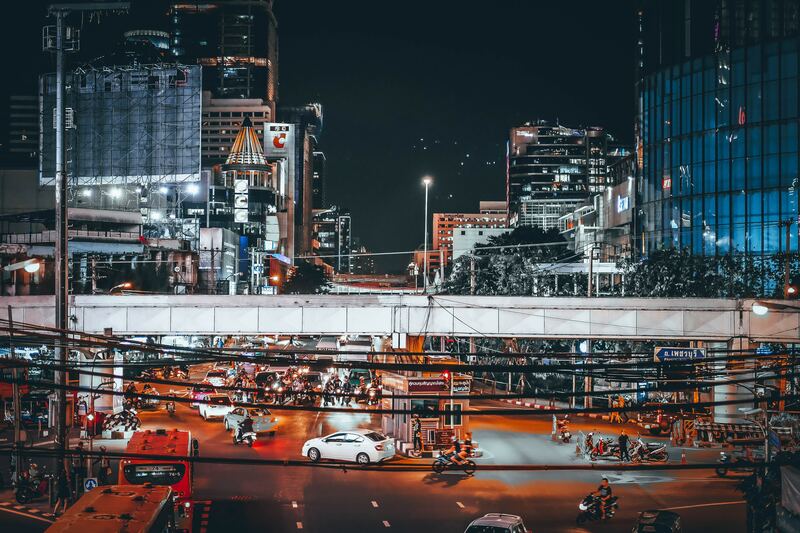 It is a city that represents undivided disorder, where slum neighborhood is across the capital’s most luxurious shopping mall and where walking streets are not for pedestrians but are for angry motorbikes and food hawkers. 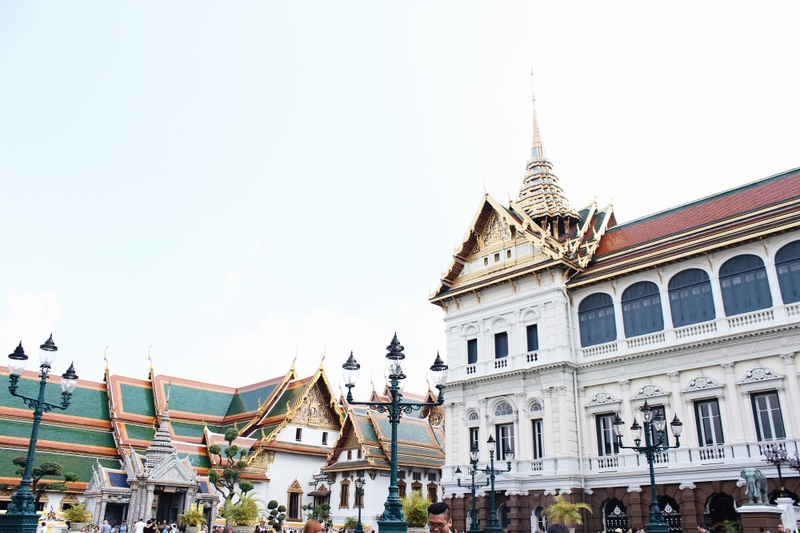 For first time visitors, there is no better way to explore the beautiful Buddhist metropolis than spending a day in the old part of Bangkok, known as Rattanakosin. It is the part of town where palaces glitter gold and temples are grand and unapologetically excessive. 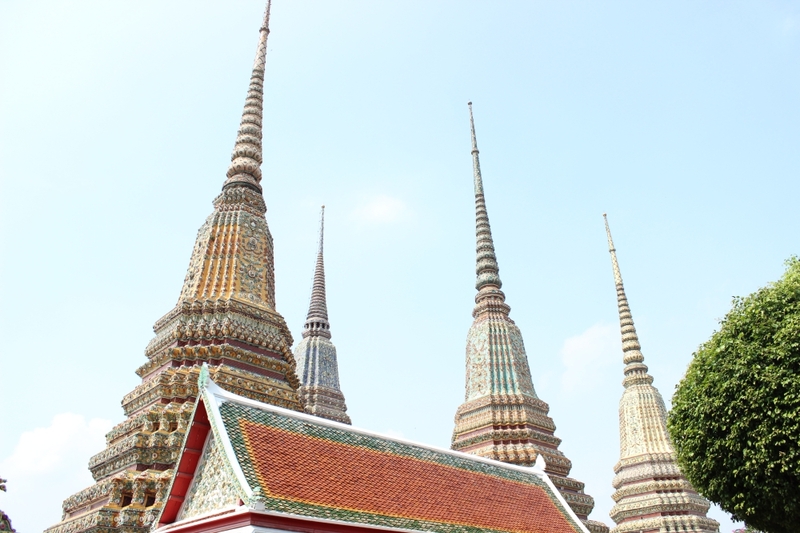 Rattanakosin is the historic center of Bangkok, where most of Bangkok’s “must see” sights can be found. 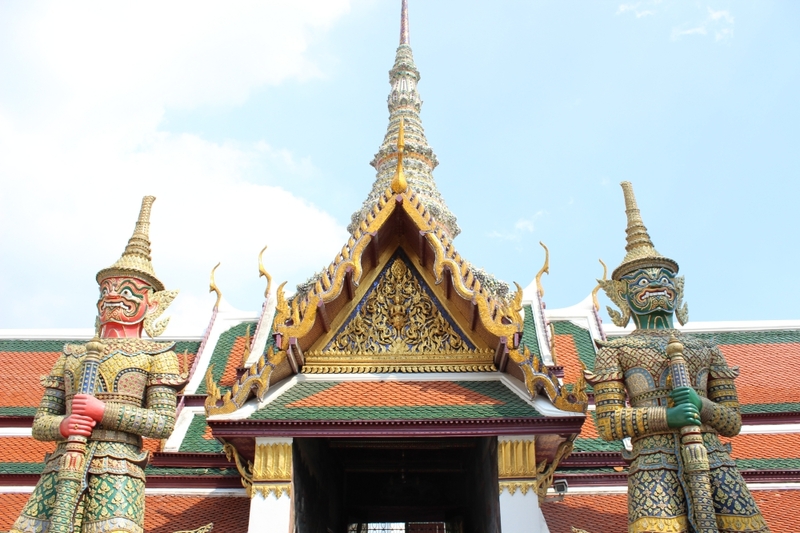 With the glittering Grand Palace and its majestic Emerald Buddha to the more peaceful Reclining Buddha in Wat Pho. 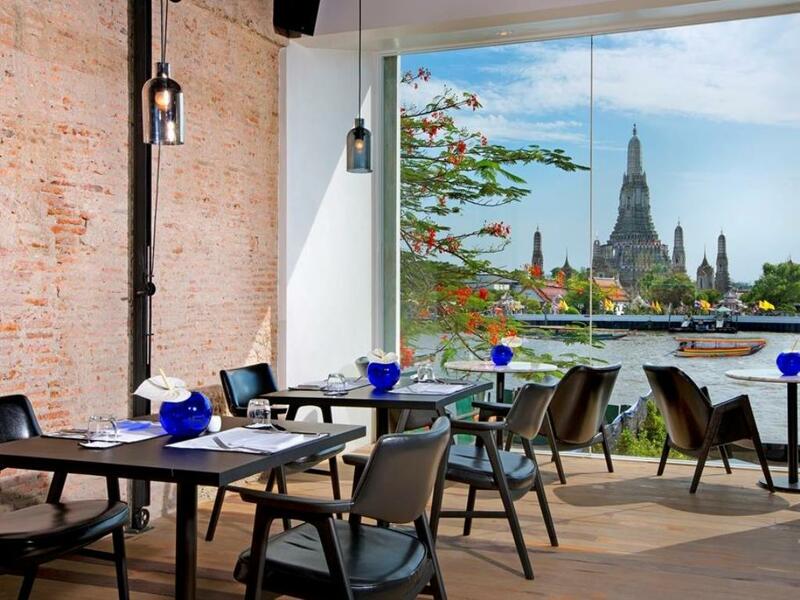 Rattanakosin has it all. 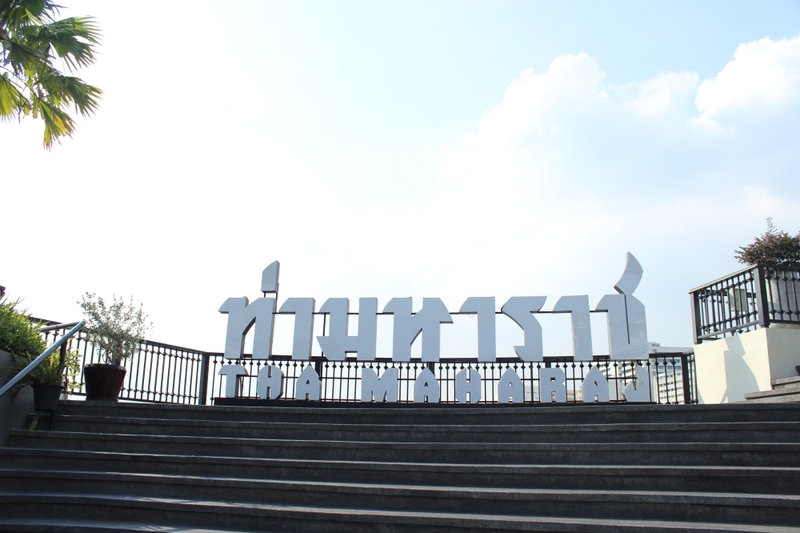 It was first established back in 1782 when King Rama I, the first king of the Chakri Dynasty decided to move his Siamese capital across the river from Thonburi. 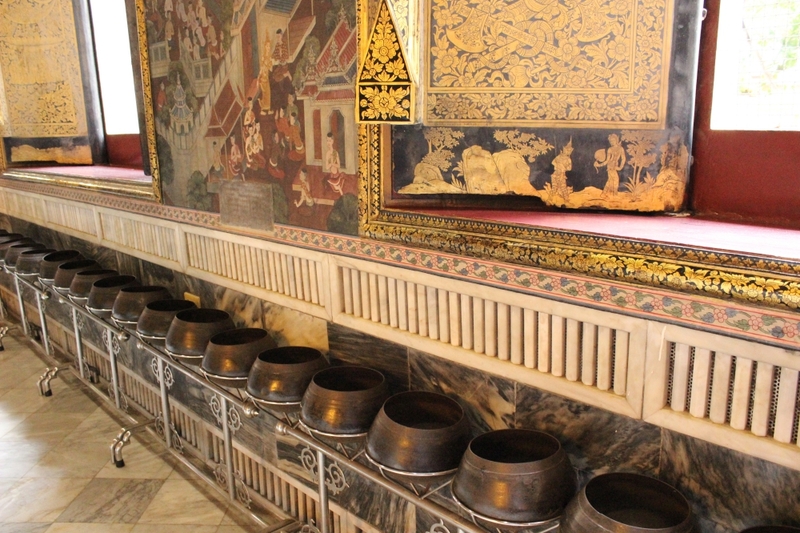 This was known as a starting point in Thai history known as the Rattanakosin Period which continues to the present day. 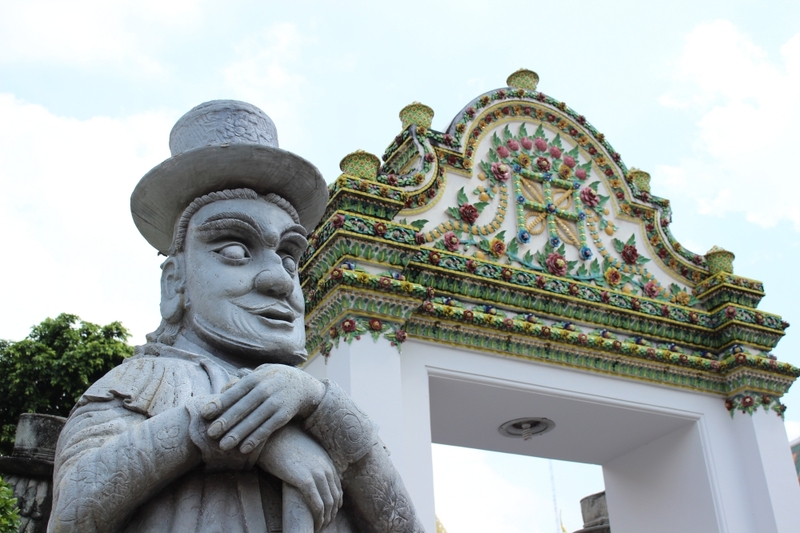 Here is a glimpse of what a perfect day spent in Rattanakosin Island looks like with some changes here and there according to the weather and the mood. Start the day with a warm and simple breakfast right in the middle of the old part of town. 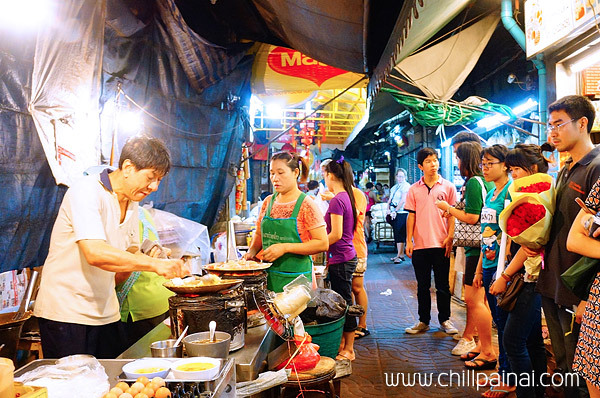 On Lok Yun is located near Old Siam, and has been operating for generations. 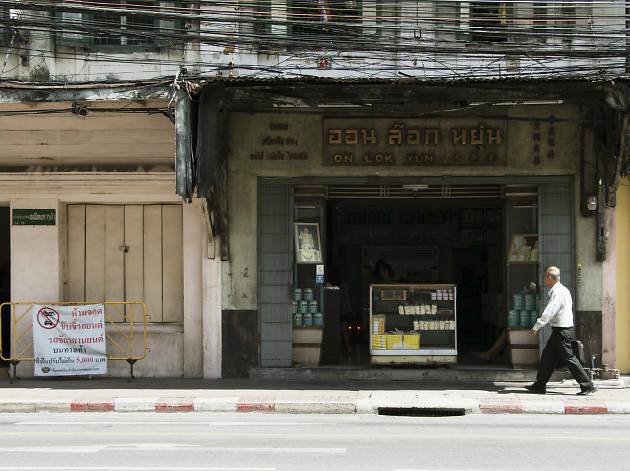 It’s easy to walk past this aged coffee shop and mistake it for another run-down store with nothing but old tin cans of milo and what looks like powdered milk. I was one of the people who totally looked past it the first time I visited. Though however, once entered, there is a feeling of rustic charm that radiates from every corner. It seems as if the coffee shop has decided to stop time and stayed in the past. Everything seems to be untouched and undisturbed by the power of time. The place serves traditional American-style breakfast. You can expect eggs, bacon, and sausages as well as soft almost pillowy white bread with sweet kaya dipping. The customers also seem to appreciate the timelessness of the place. 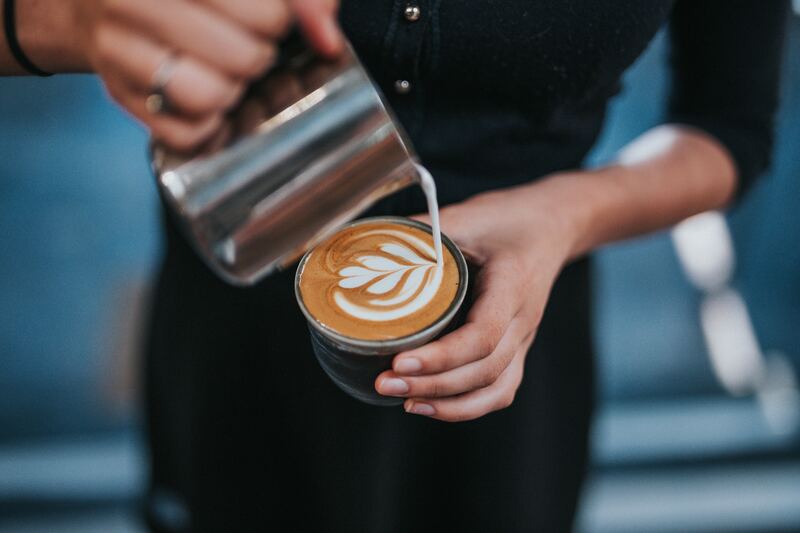 You can see regulars and locals sometimes seen sharing a table, some talking and some sipping coffee while reading the morning news. It’s homely, it’s warm. 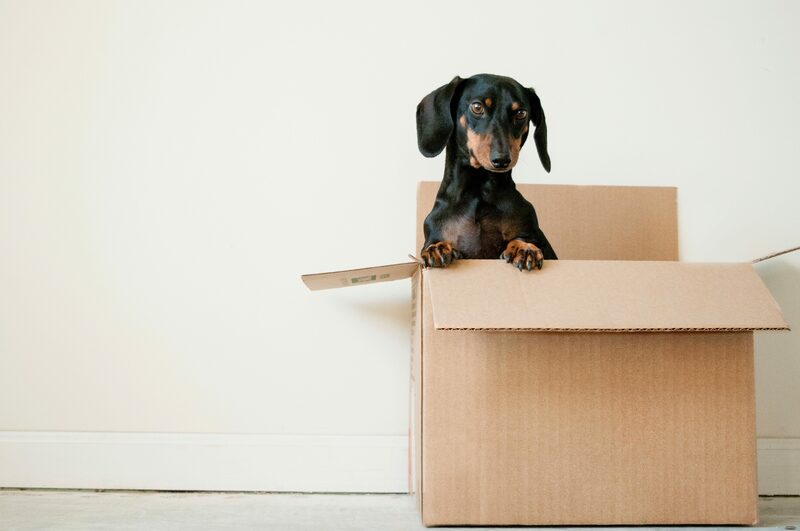 It makes you feel like coming back to grandma’s home where everything is preserved with memories and love. On Lok Yun is definitely a place you want to start off your day and take in that daily dose of sugar in the delicious iced Thai milk tea. 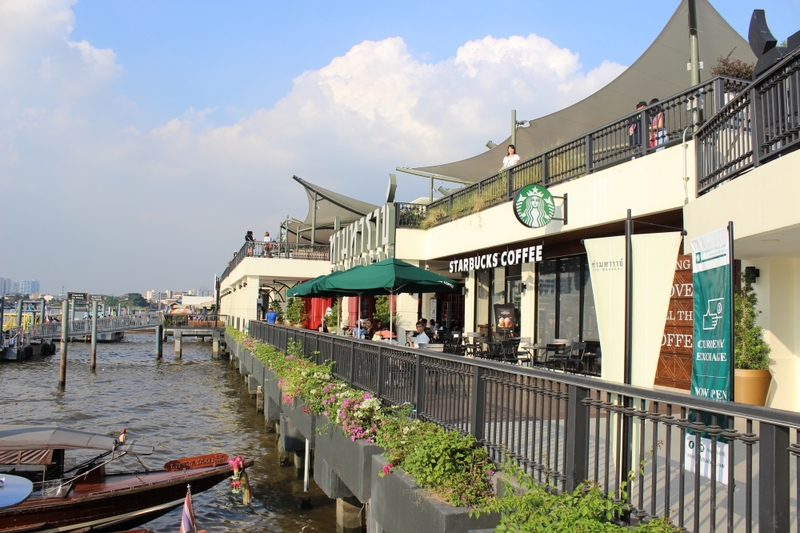 With drinks and breakfast starting at a little over 20 Baht, this place is an experience that is worth a visit! 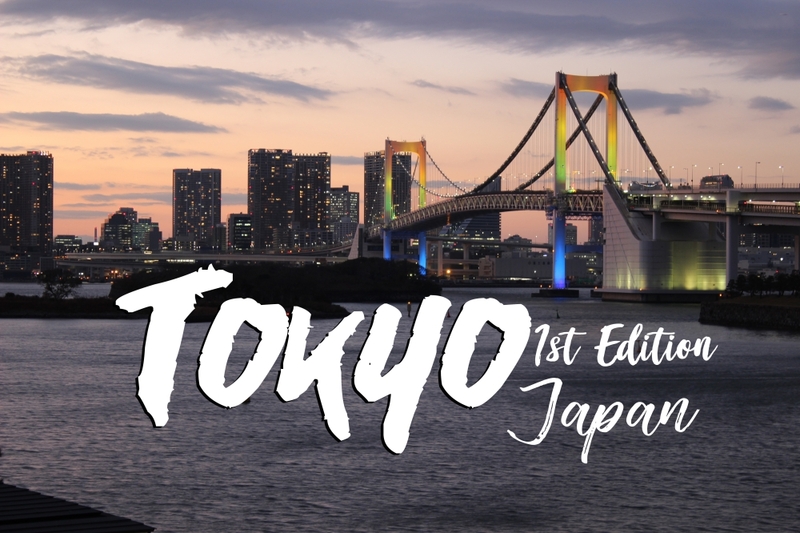 After filling your tummy with all the delicious goodies, we are heading off to the first place on our list. 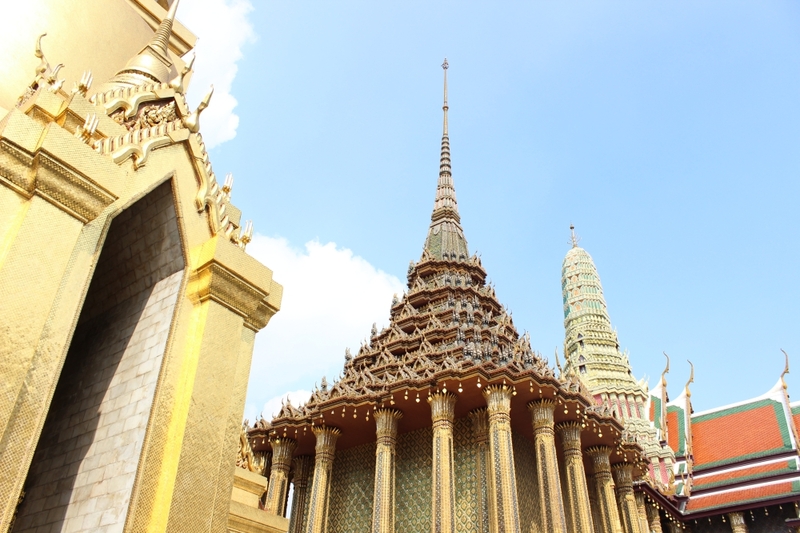 The Grand Palace is a beautiful sight that every visitors should find their time to come by. It’s also worth noting that there are strict attire rules such as no shorts and sleeveless tops. However, you can easily find any piece of appropriate clothing provided for hourly rent. 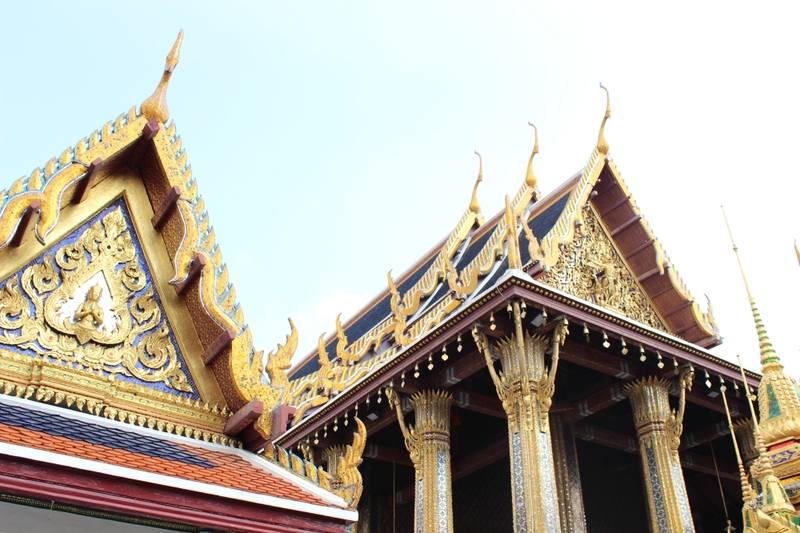 What is fascinating about the Grand Palace is not only because of its beautiful architecture but also their attention to the tiniest of details. 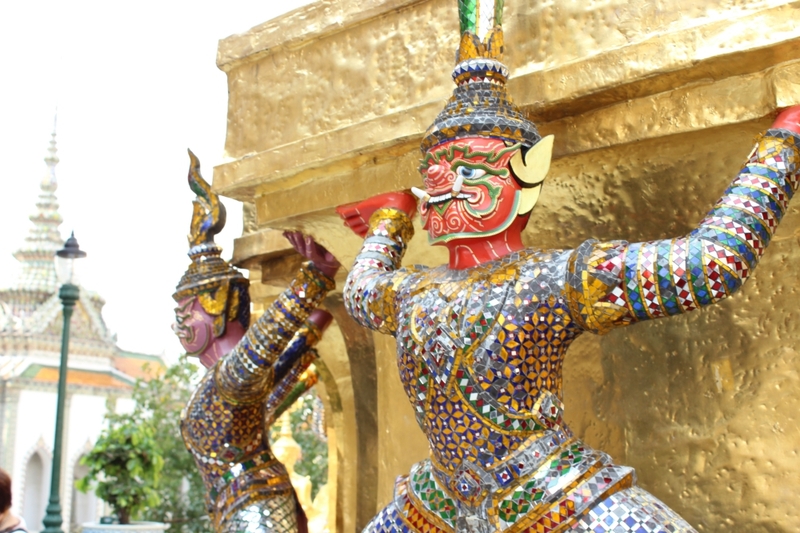 We’re talking about the stories behind all paintings and sculptures that take Thai literature into full consideration. 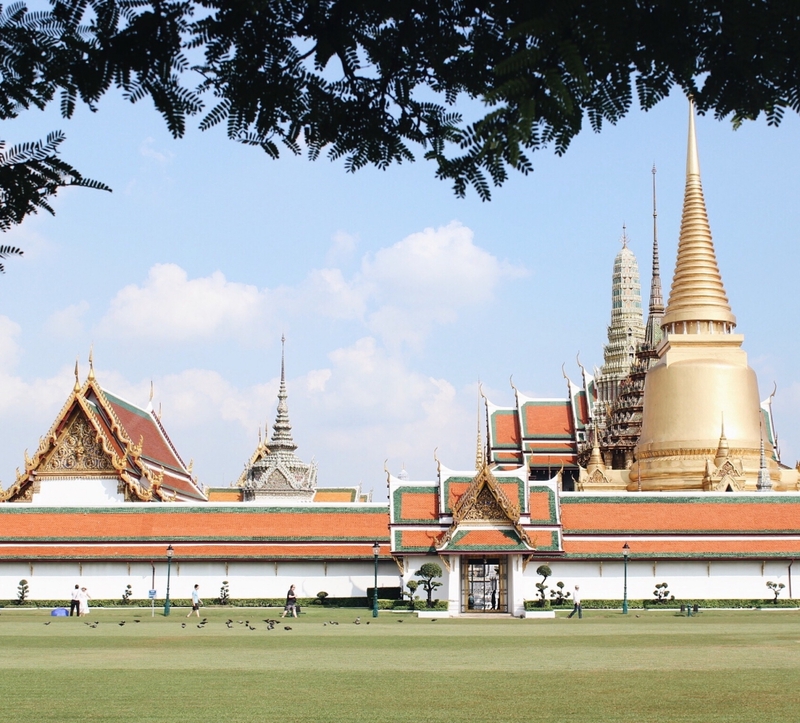 From Thai national epic of Ramakien to the cosmology described in the Trai Phum Phra Ruang, the Grand Palace is truly a place filled with rich Thai history. 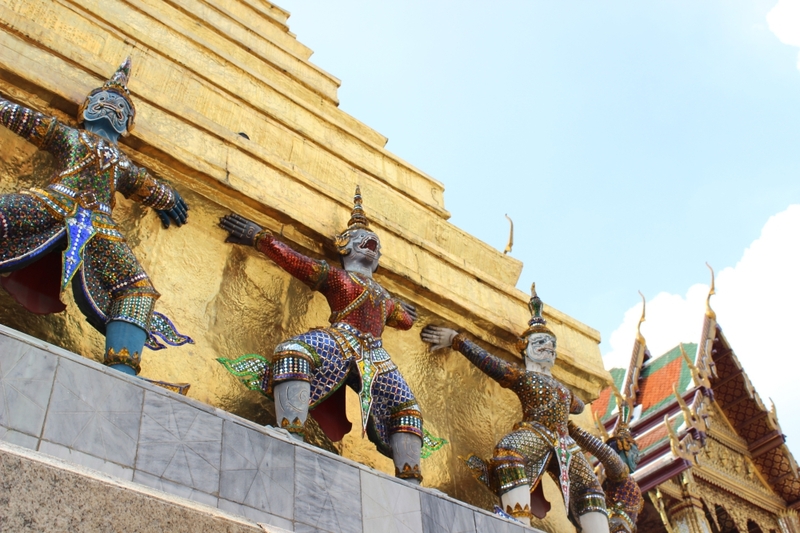 Ever wondered why the giants are everywhere in the Grand Palace? Some understand it as a guardian of evil spirits but what about the tiny ones looking like they’re carrying the whole structure spread throughout the palace? They are the giants from the Trai Phum Phra Ruang or the Three Worlds according to King Ruang, another Thai Buddhist sacred text of cosmology. It explains that the giants are from the underworld where things that have accumulated bad karma are sent to. The giants actually reside in the highest level of the underworld and their duty is to carry the weight of the world above them. This includes the human world and the world of the gods and angels. Trai Phum Phra Ruang is, indeed, a fascinating read I had the opportunity to study it during my time in university. I highly recommend anyone interested in expanding their Thai history/literature to try to read it themselves. No matter if you’re a first-time visitor or someone like me who was born Thai but never having read or study Thai literature before. After reading and studying, I was amazed at how everything correlates to each other and to the stories. The attention to detail put was of incredible worth. I assure you will recieve a new set of eyes that are more understanding and appreciative of Thai Buddhist grounds. 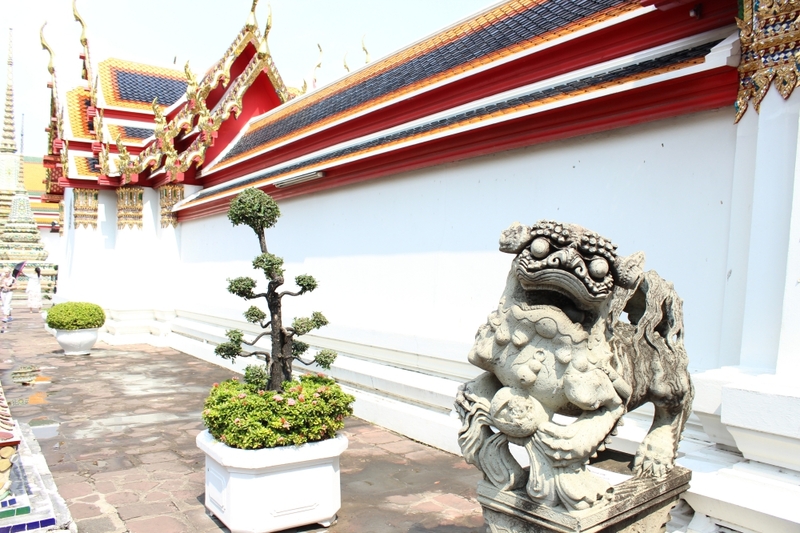 Apart from the beautiful temples, you will also get to see the grounds of great palace halls before exiting. 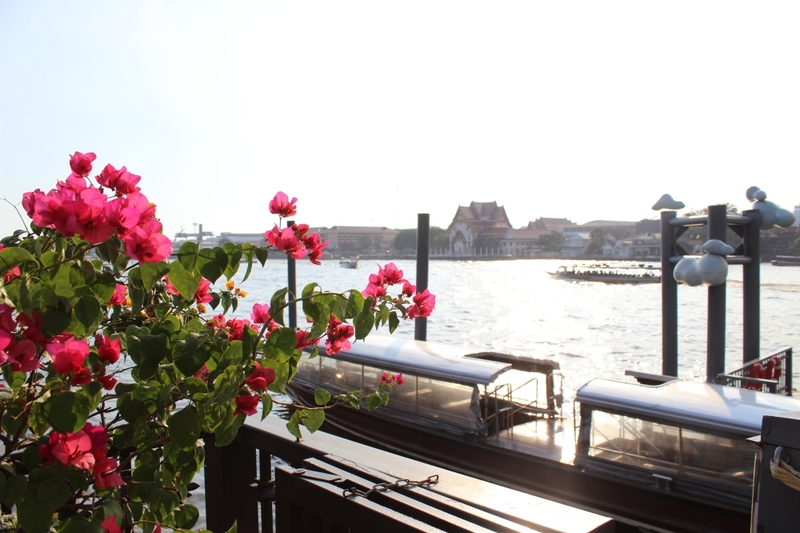 After a morning at the Grand Palace, there is no better way to have lunch than by the Chaophraya river. Tha Maharaj is a new, up and coming outdoor mall filled with airconditioned restaurants and cafes. Apart from being an outdoor venue, it is also where the Maharaj pier is located. 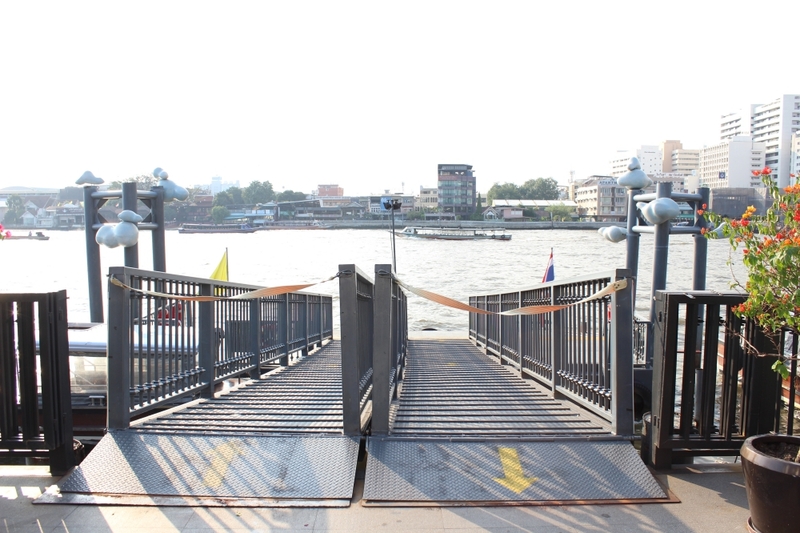 From here, you can go to so many places via the Chaophraya express boat. 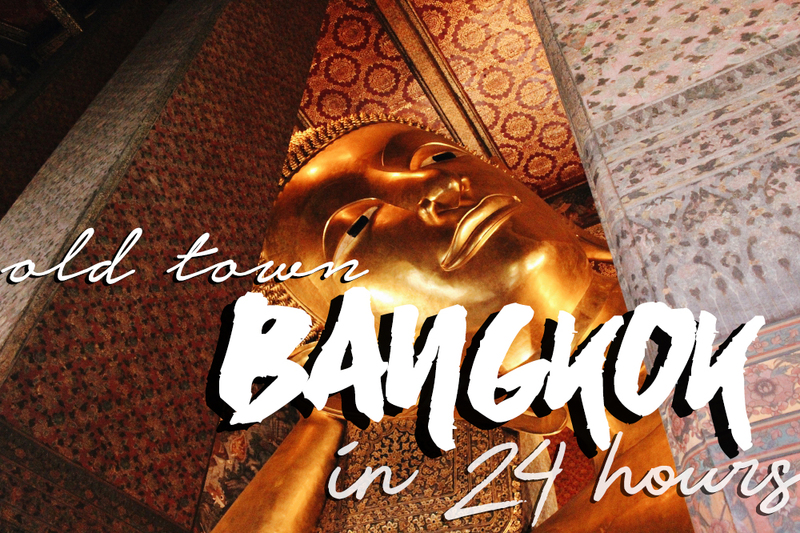 After lunch, it’s time for another iconic Bangkok temple known as the OG place for Thai massage. It is an education center and a place where people share knowledge and love for medicine and massages. 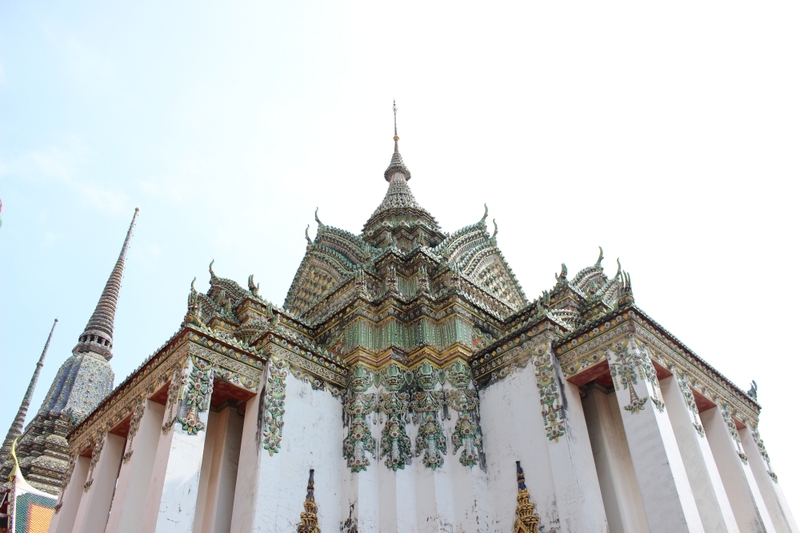 Wat Pho (pronounced “Poh”) is my favorite temple of all the many Wats in Ratanakosin. The experience here is more relaxing with fewer people. 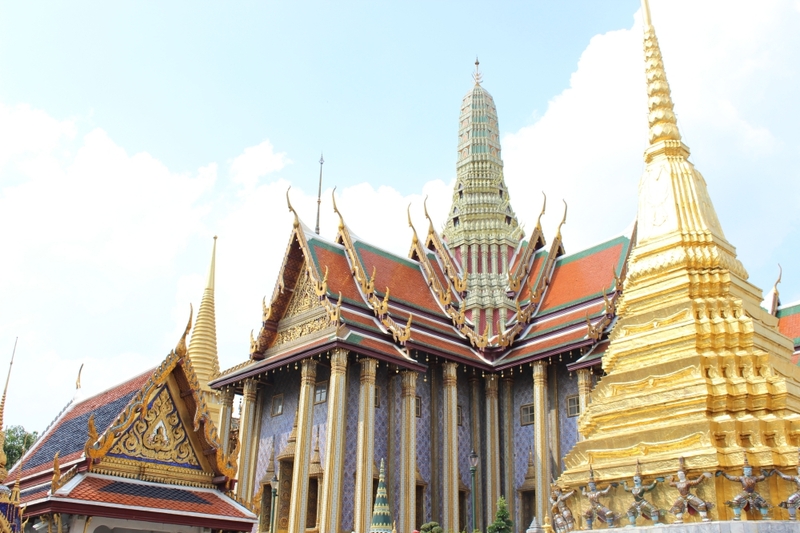 The design is completely different from the Grand Palace so rest assured your time is spent well here. 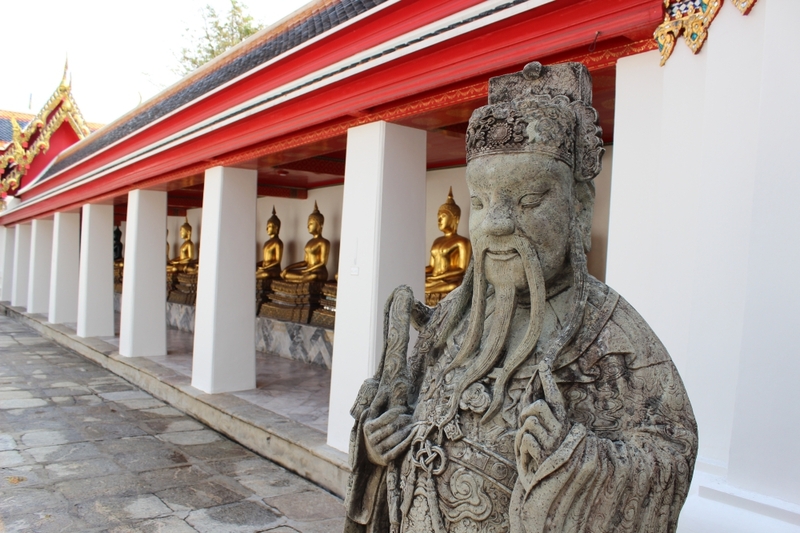 Taking an influence from China and the Chinese merchant, you can see Chinese stone statues everywhere spread within the temple grounds. 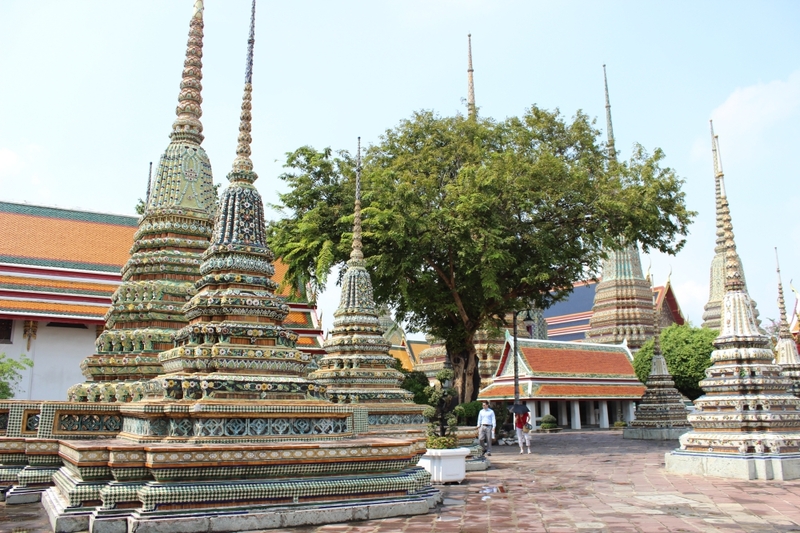 The distinctive difference you can see is that Wat Pho is made mainly by green mosaic tiles as opposed to golden colors of the Grand Palace. 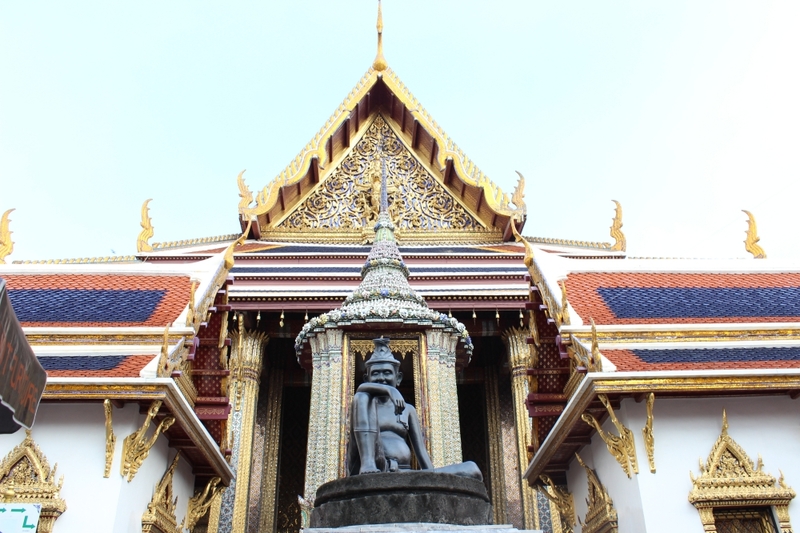 Wat Pho is where then-President Obama and Hilary Clinton visited they were in Thailand for their first foreign trip after winning the second term in office. 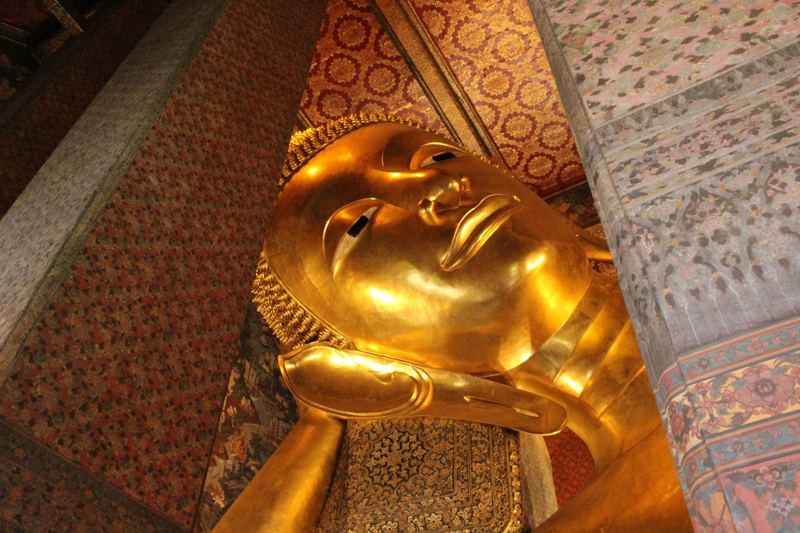 The main attraction is, of course, the giant reclining Buddha that measures meters long and is covered in gold leaf. The size of the giant Buddha is breathtaking in real life and depicts the passing of the Buddha into final Nirvana after death. Another great experience you should try is making merit by putting coins in every metallic tink. This represents getting nearer to Buddhist salvation and a better rebirth. The echoing sound of the coins hitting the metallic bowls makes the visit and the experience much more thrilling. 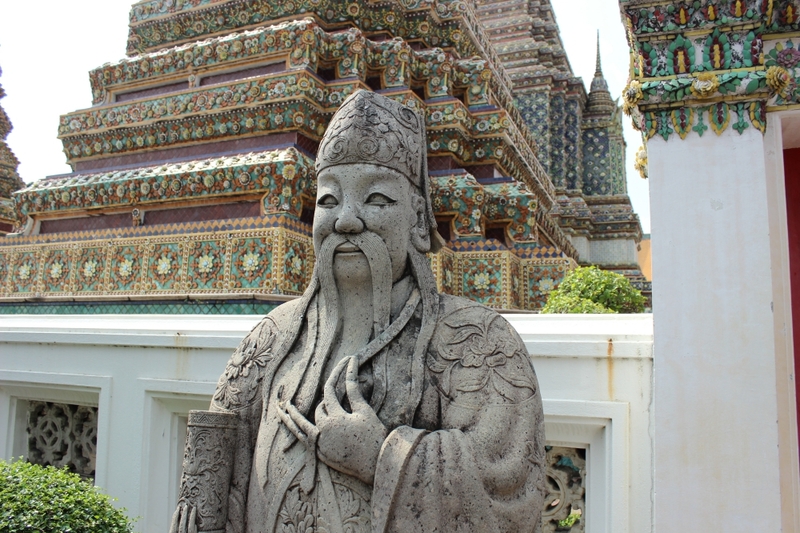 Furthermore, Wat Pho displays more than 394 gilded Buddha images from different part of Thailand. 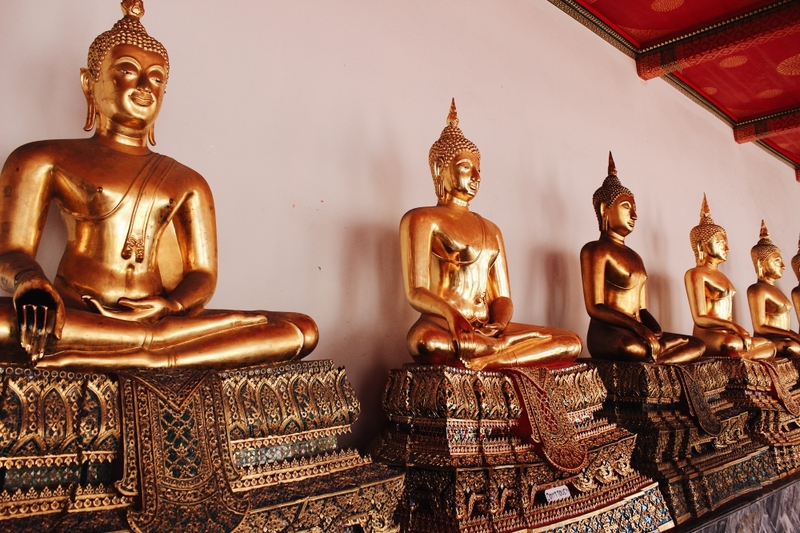 This creates a photo of iconic long lines of golden statues sitting in the lotus position. Just after sunset and taking in the gorgeous view, it’s time to fill that hungry belly with some good old classic Padthai. 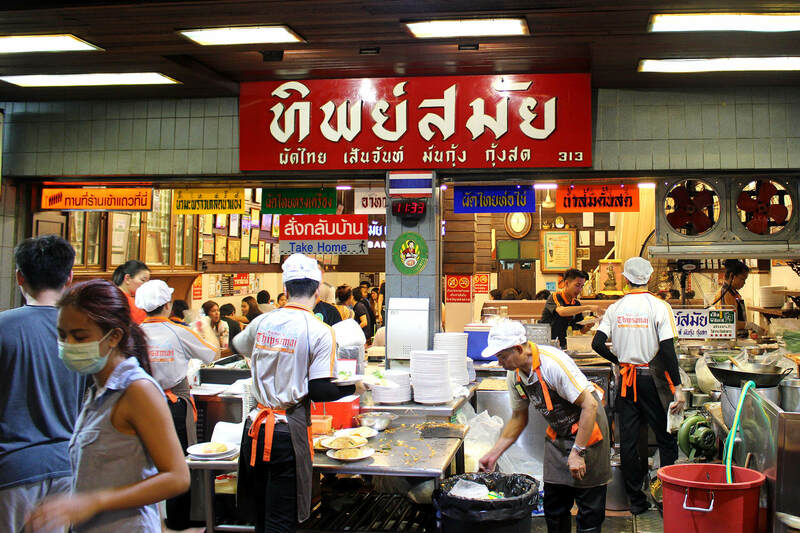 Topped in every must-go food list in Bangkok and dubbed as Bangkok’s best, Thip Samai makes superb yet simple Padthai. You can expect long lines of people trying to get in. Personally, I do not think it is the best and would agree that it is totally overrated. I don’t like how it tastes kind of sweet but I can agree it definitely has good marketing. 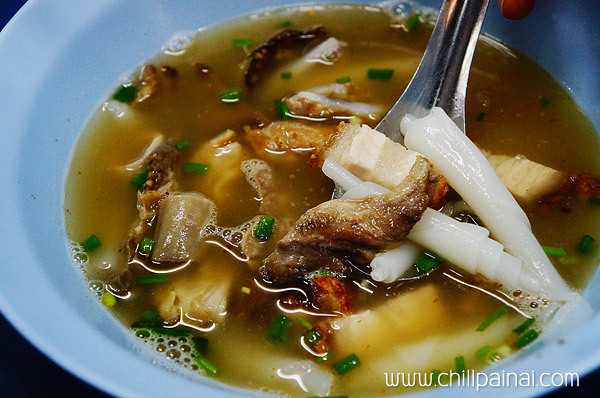 Also, they are known for expensive orange juice drink which cost 5 times more than the Padthai itself. So if you are on a budget, don’t order and fall for the orange juice trap! A fun tip! 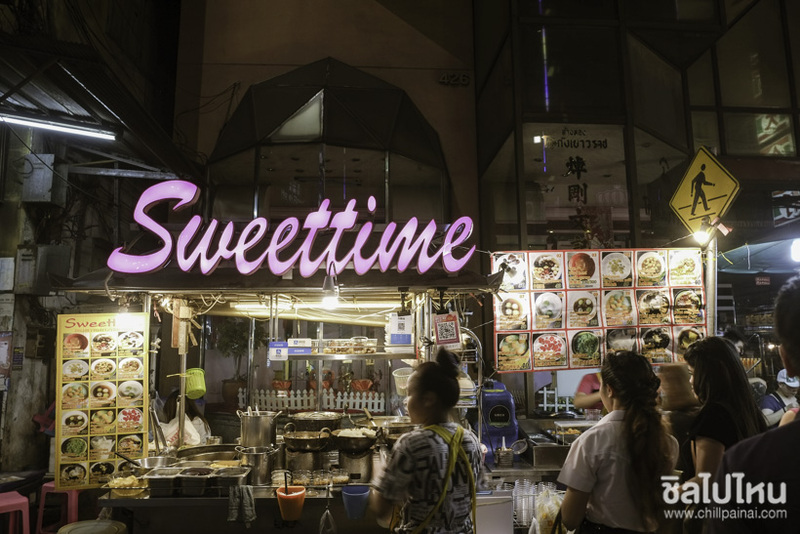 If you’re bored of Padthai, walk further a bit and just around the corner of Thip Samai, you can see the famous Bangkok street vendor that earns a Michelin star earlier last year. 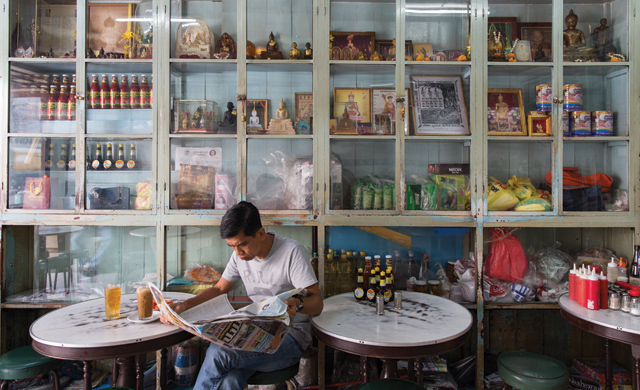 Before the international fame, Jay Fai was a quiet restaurant that is known for its ordinary kitchen by the street of with an extraordinary food. 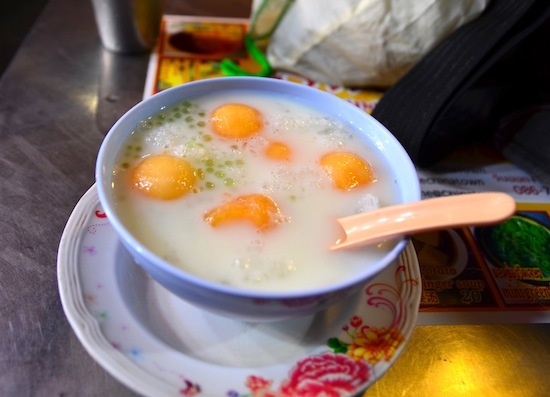 The story of Jay Fai is so fascinating and now becomes a national sensation that causes the cook herself to regret the enormous amount of attention she’s been getting. 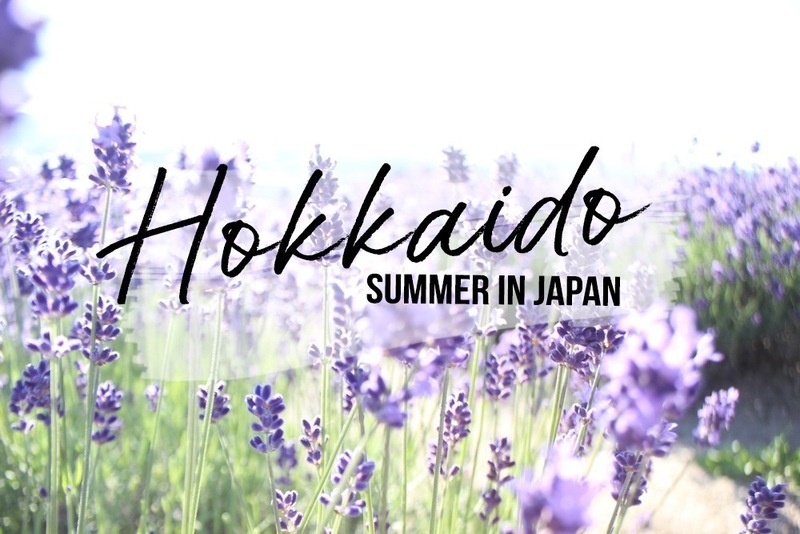 Mark Weins, the famous food travel blogger based in Bangkok makes a great video reviewing the place. Check it out here. 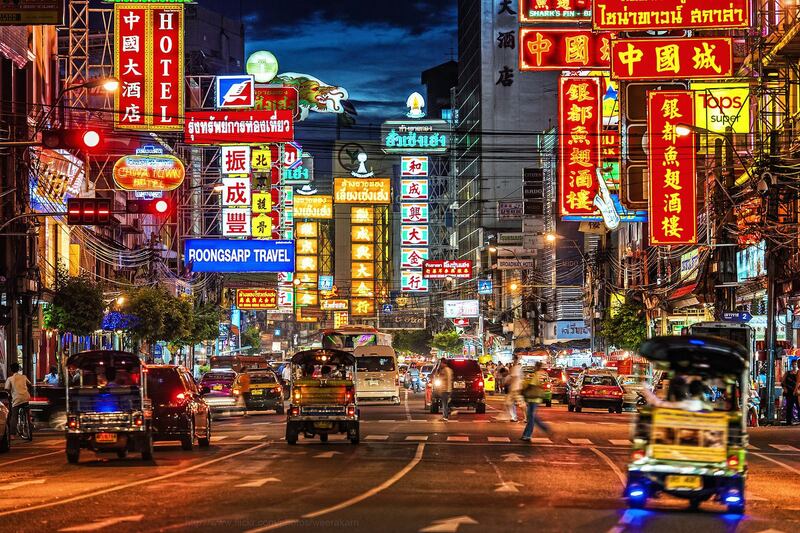 No matter if you’re full or not full from the dinner, get a tuk-tuk and head for Chinatown. Try to avoid Mondays, because street vendors are not allowed to open for the sake of cleaning the streets. 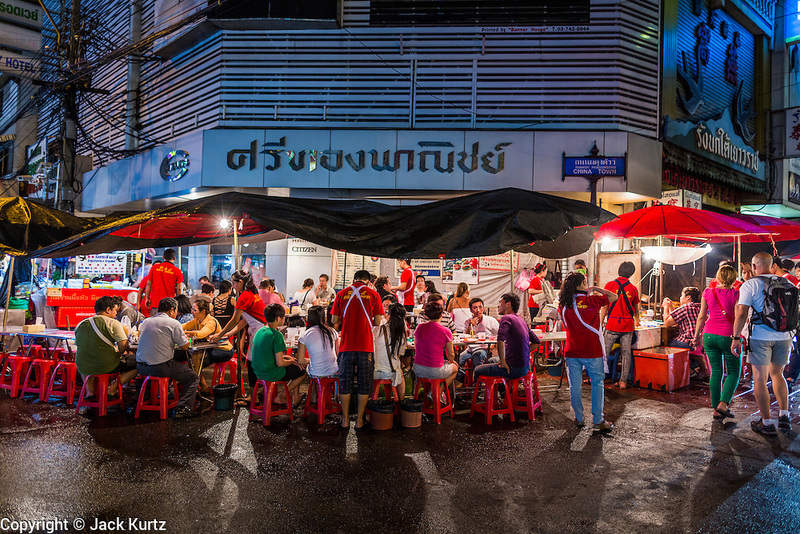 Bangkok’s Chinatown or Yaowarat is incredibly vibrant with red neon lights and street food. 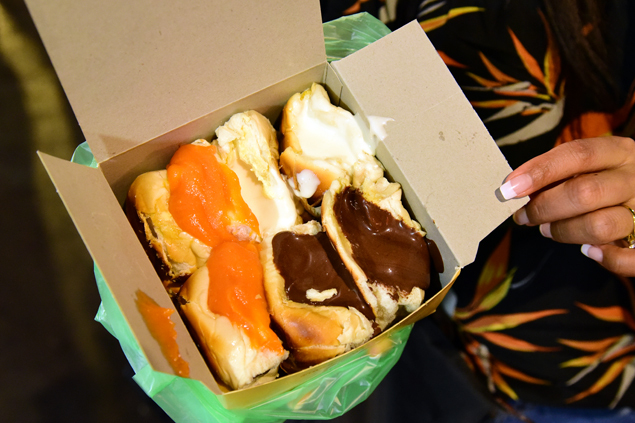 Locals come here for food hopping and never settle for only one place. 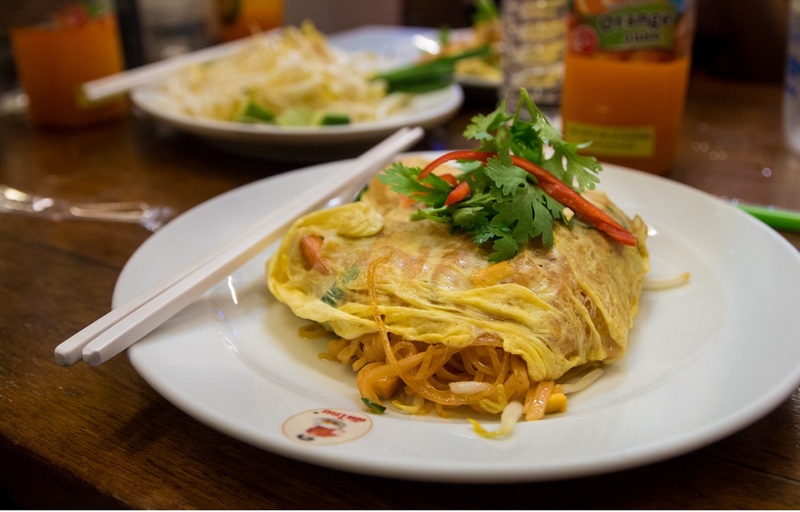 Made scorching hot served on a hot pan, Kua Gai is a delicious rice noodle wok-fried with eggs until toasty and served with Sriracha hot sauce. It kind of reminds me of the famous Pad Sa Eew minus the black soy sauce. 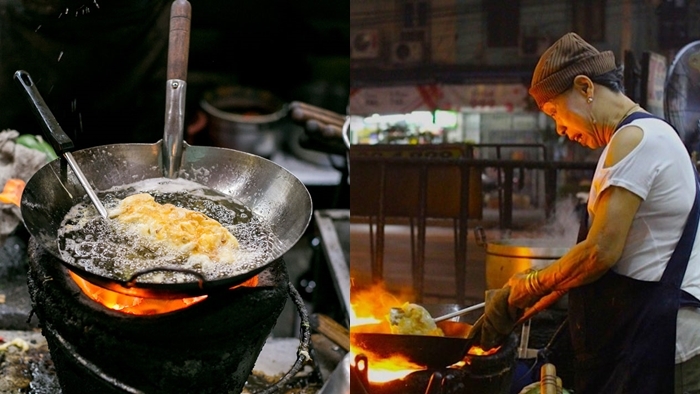 The famous one in Chinatown is the place in the alleyway of Yaowarat soi 6, Kua Gai here is served on a bronze hot pan. Always my favorite dish to go to whenever I’m in Chinatown. Warm, peppery broth that goes so well with the smooth-rolled noodles and crispy pork. If you see a long line that comes out to the road, chances are it’s probably for the toasted bread with egg custard fillings. 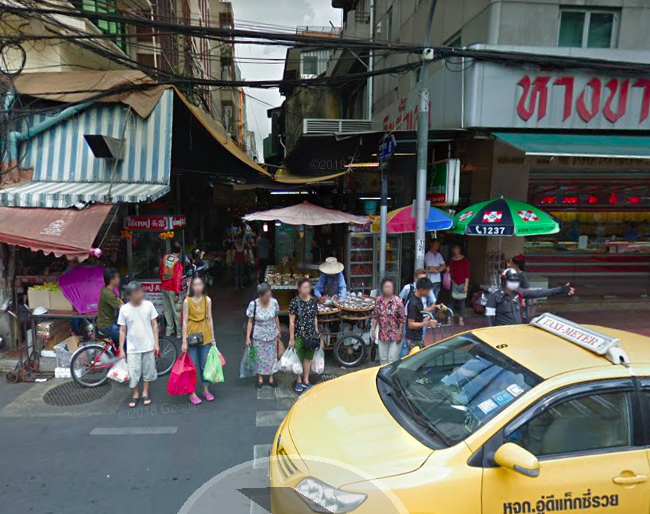 There is a constant competition between the green T & K Seafood against the red Rut & Lek Seafood on the intersection with Yaowarat and Phadung Dao Road. The food and the pricing are really similar so to me it doesn’t matter which one you choose. 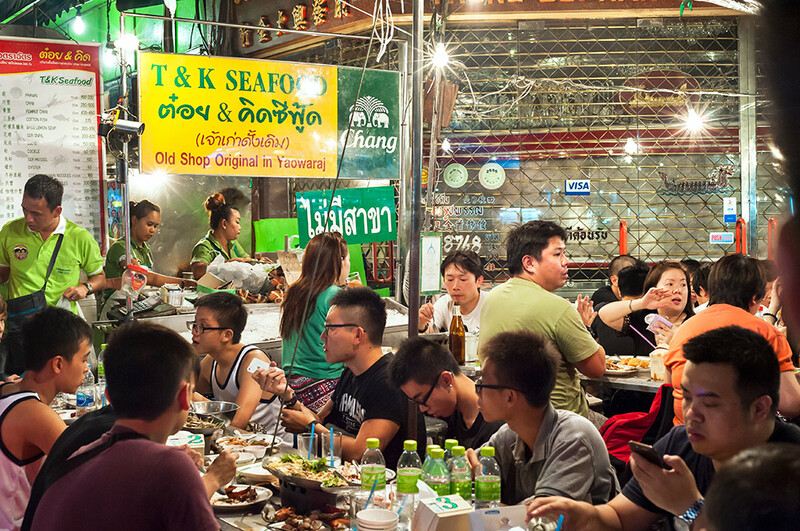 Frantic with people and cars passing by, the seafood here is fresh and spicy! 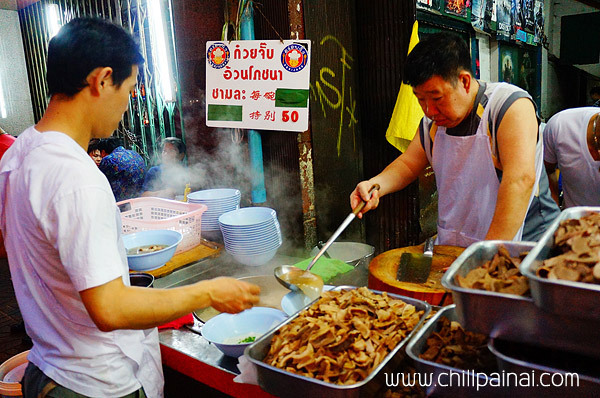 You will also see stalls on the streets selling cockles, have a try if you’re into it. Prev Post BEGINNER'S GUIDE: อยากเล่นหุ้น แต่อายุน้อย โง่เลข เข้าใจช้า จน ต้องทำไง!? 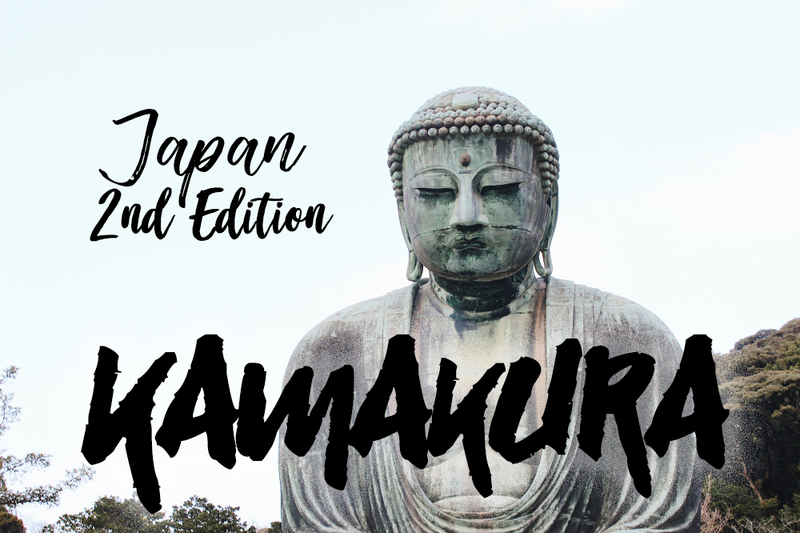 Next Post JAPAN SERIES: เที่ยว โตเกียว ครั้งแรกแบบงง ๆ แต่ก็ไปมันหมดครบทุกที่!